For all my fellow New Yorkers, run NOT walk down to the REI store in SOHO! Team BRITAX is there doing demos all day of the new BOB Motion Stroller that is available for sale right now exclusively at REI. 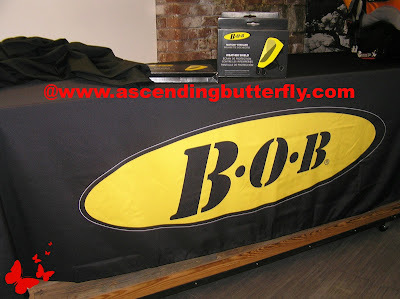 You can buy them online at www.rei.com too, but it's only today when you can enter to win one in store! They are also donating up to $5,000 for Sandy Relief Efforts! Anyone who takes a photo of themselves with the new BOB Motion Stroller and uploads their photo to BOB's Facebook page, they will donate $20 per photo upload to Hurricane Sandy Relief Efforts, which the city really needs right now! It's a super cool win/win! BOB Motion Stroller on Display during Launch Demo at REI SOHO Store in New York City! 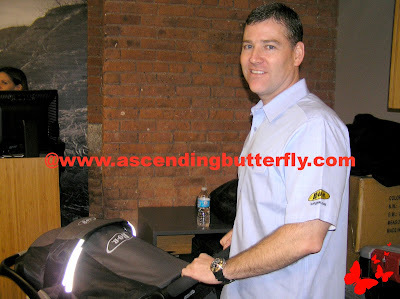 BRITAX Marketing Director and Product Development Specialist Jon McGuire demos new BOB Motion Stroller at REI Store in SOHO New York City - exclusive launch! Check out the Adjustable Handles on the new BOB Motion Stroller! The new stroller includes the BRITAX Click & Go™ integrated adapter for convenient attachment to the BOB B-SAFE™ in matching BOB fashions or BRITAX fashions. Seat to the tallest center of the Canopy is 26"
Through Friday, Jan. 18, 2013 customers who buy a BOB MOTION stroller can get a free BOB B-SAFE infant car seat during BOB’s FREEdom in Motion event, simply add both the BOB MOTION stroller and the BOB B-Safe infant car seat to your cart when ordering online at www.REI.com, enter code “SOHO-MOTION” at checkout. 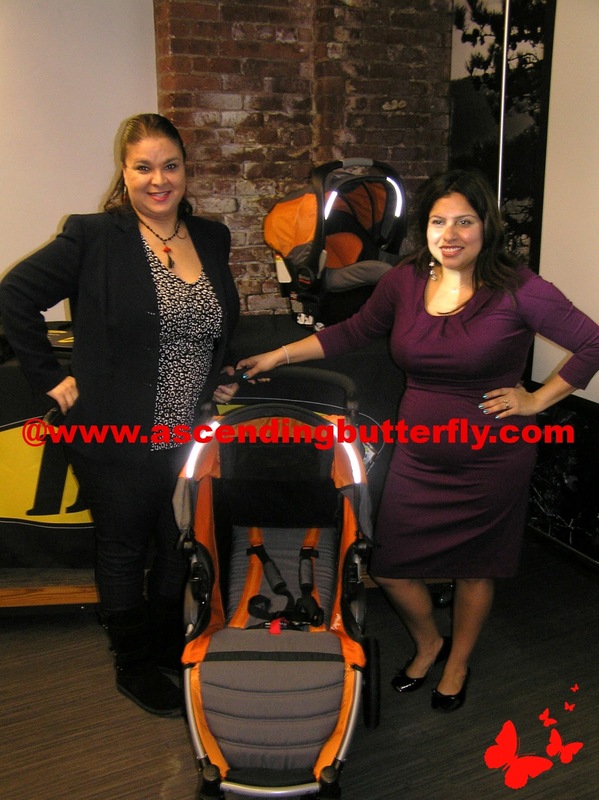 Left: Tracy from Ascending Butterfly and Right: Divina from Dancing Hotdogs, aka 'Britax Charlie's Angels' reunited again! Things to Note: They do not include the tire pump, this has to be purchased seperately! Remember you must purchase by 01.18 to get the free carseat, the carseat will not be free after this date. This is NOT a jogging stroller, this stroller is suited to non-joggers or those who want to use this as their everyday stroller as an accompaniment to the jogging stroller! If you nab this great deal, please let us know! 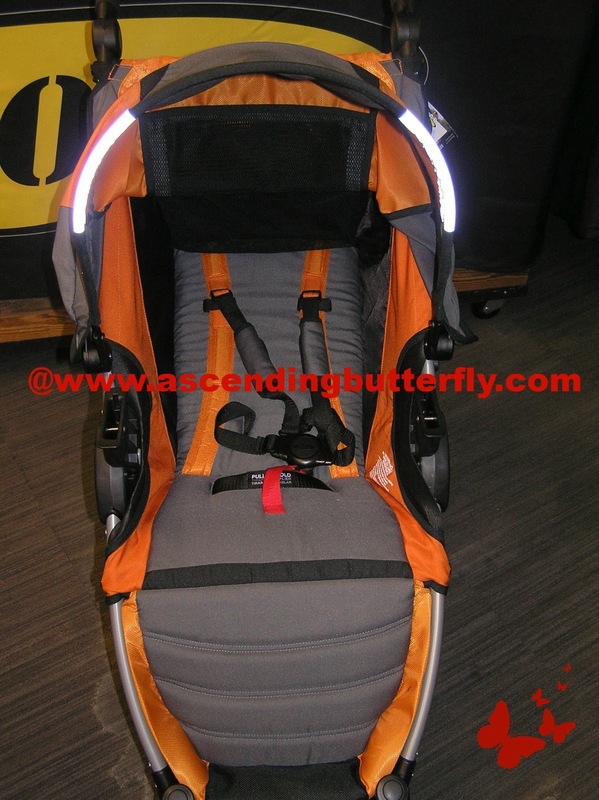 And don't forget to tell Britax and REI on Facebook that you saw the BOB Motion Stroller here featured on Ascending Butterfly! The promo is amazing and the new BOB motion looks great. It was wonderful seeing you! And yes that is a pretty sweet deal! WOW,sweet deal ty for the heads up! @Big Happy Buddha - This is definitely an awesome value!